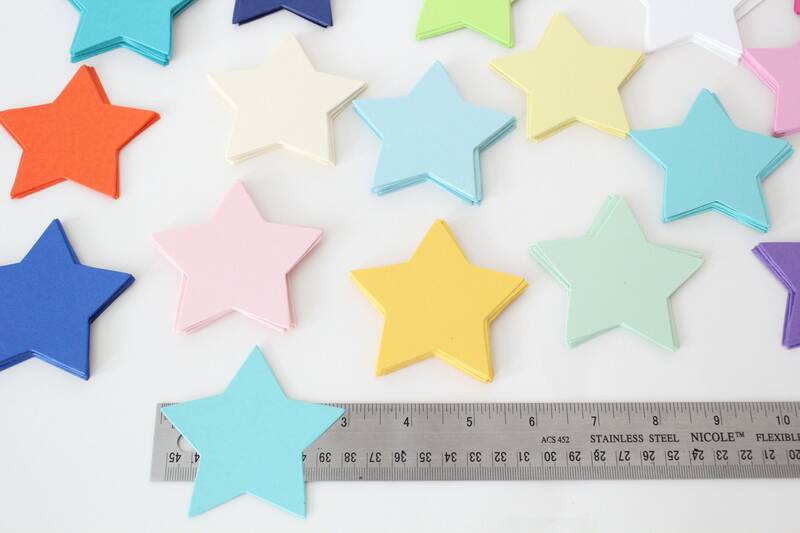 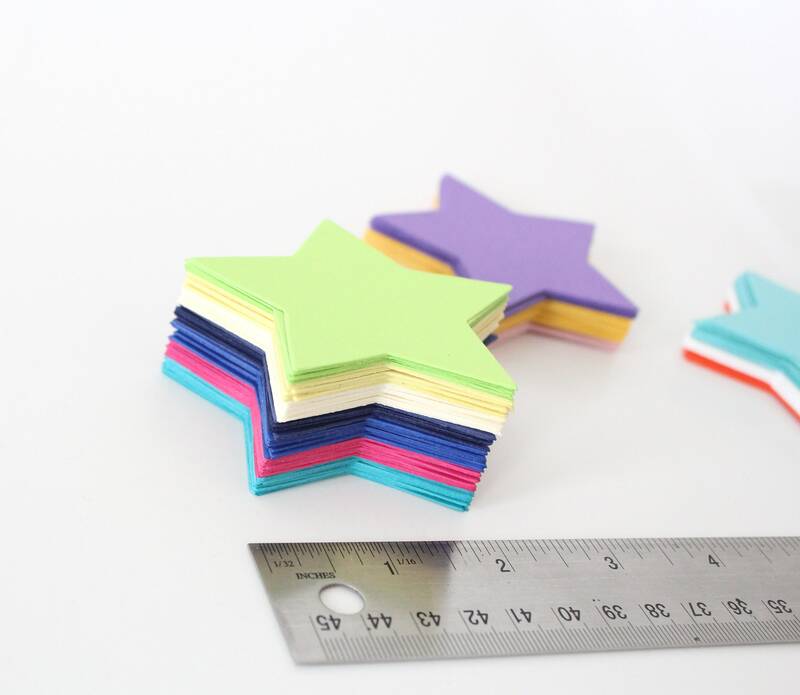 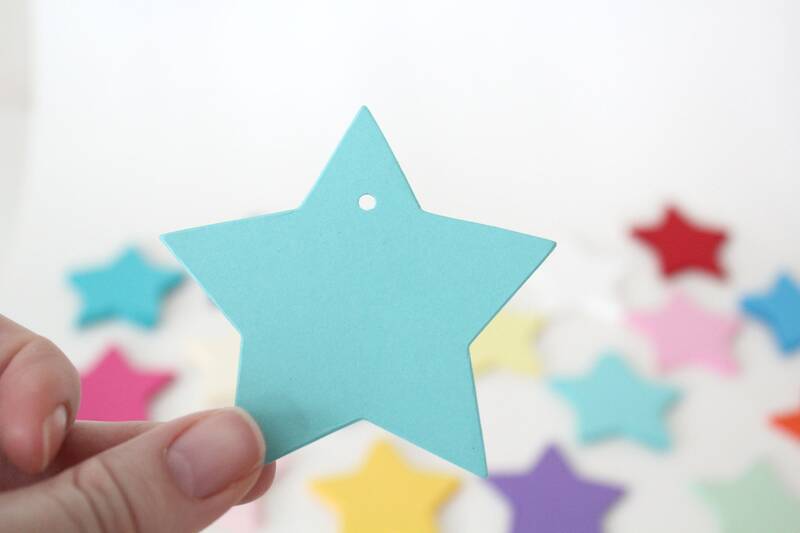 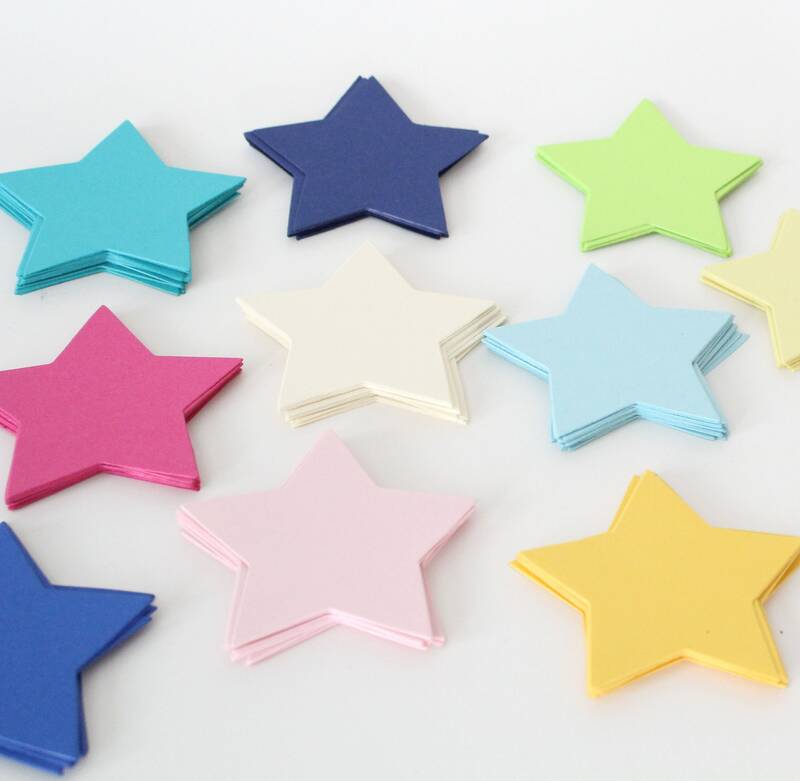 Stars measure 3" from point to point and are made from 65lb card stock. 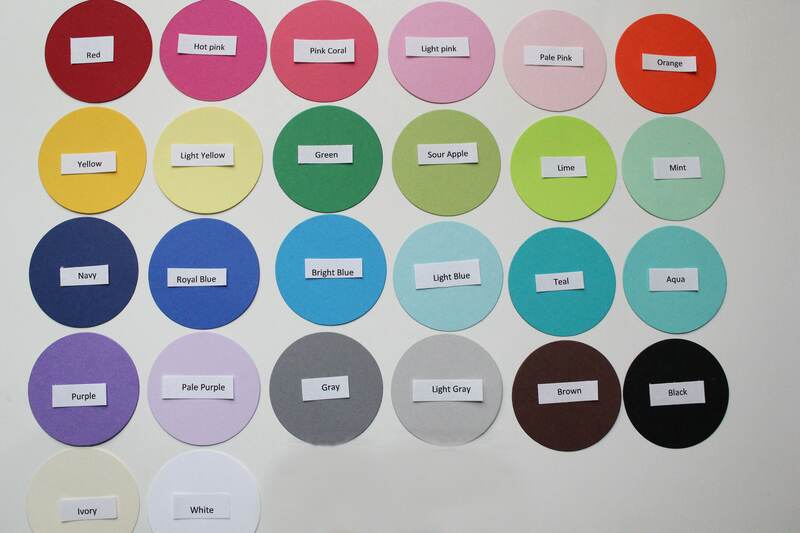 Please type in color selection in "message to seller" at checkout (color chart in last photo). 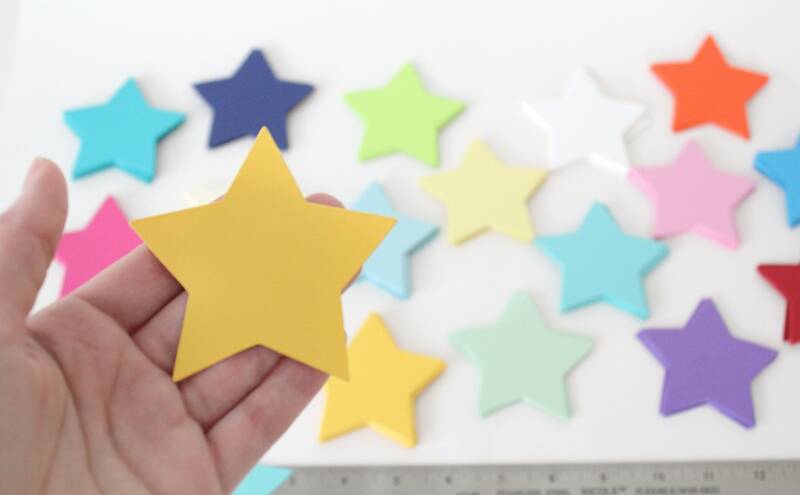 A small hole punch can be added to the stars and can be purchased at checkout from the options above.